🚴 WHAT IS NIGHT CYCLING? Night Cycling is a cycling rally organized by the team at EverythingOutdoor NorthEast (EONE) who also manages the famous Guwahati Cyclothon - The Cycling Carnival every year. 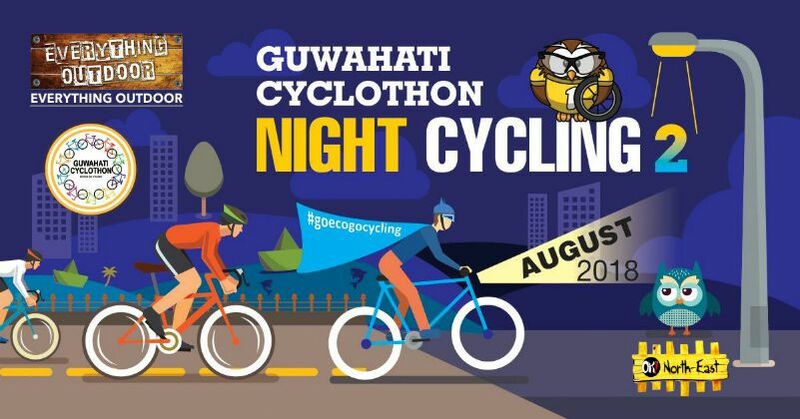 Night Cycling is very much same as the Guwahati Cyclothon rally, but only held at night. 🚴 WHAT IS GUWAHATI CYCLOTHON? With a vision to create awareness about cycling, which is beneficial for physical as well as mental wellness, Everything Outdoor Northeast (EONE) commenced a concept in 2017 – The Guwahati Cyclothon – where the cyclists as well as cycling enthusiasts, amateur or pro, join together for a cycling rally across the city of Guwahati. EONE wants to create awareness on traffic congestion, pollution and parking issues and with a motive to encourage cycling among school and college students, as well as, office goers, the team at EONE has been voicing their opinion about creating special cycling tracks in the city of Guwahati. Cyclothon is a platform where people can show their concerns and love for MOTHER NATURE. They will get a chance to move away from their hectic lives and schedule for some time. The rally is a vibrant means of relaxation, interaction and networking. It is a platform to enhance the sporting skills of a cyclist. 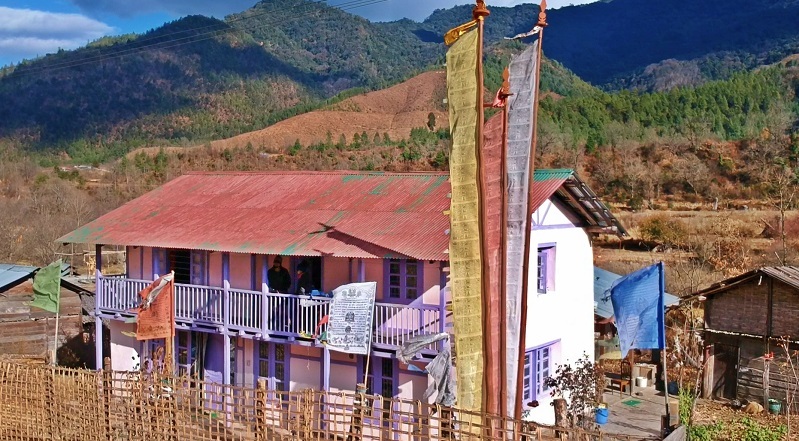 S/he along with her/his family members and friends get a chance to be away from their routine life – to be involved in an informal, casual, fun filled symposium. 🚴 WHY IS CYCLING BENEFICIAL? In India cycle is considered a poor man's transport, rich man's hobby and medical activity for the olds. But very few understand that cycling is the best exercise for several diseases – physical and mental. Cycling helps faster recovery from certain injuries. It regulates blood pressure, helps in losing excess body fat, helps in fighting cancer, and most importantly, helps in keeping the mind peaceful and stress-free. Overall, cycling helps you to live & lead a better life. While we are burning FUEL with unnecessary and excessive use of automobiles, we can contribute in a big way to bring down CO2 emissions using a cycle for our basic daily errands. This way we will be able to contribute to a CLEAN & GREEN environment and leave a better place to our children and the next generations. Moreover, using a cycle regularly can save you quite a lot of money. With the slogans #GoEcoGoCycling and #ThrowbackGuwahatiCyclothon Night Cycling pledges to bring a change on the streets of Guwahati. No honking, no litter on the roads, less traffic congestion and no bad mouthing - are some of the things the team had been fighting for through the Night Cycling as well as Guwahati Cyclothon. Office: By The Way, Opp. to Maria's Montessori School, SBI Complex, Hatigarh Chariali, Geetanagar, Mother Teresa Road, Zoo Narengi, Guwahati, Assam 781024. 📞 90850 92586 or 97060 63377.